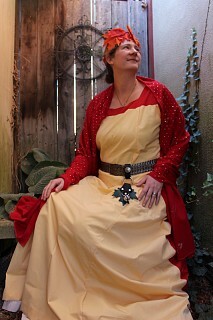 For most of this I used Simplicity 1773. 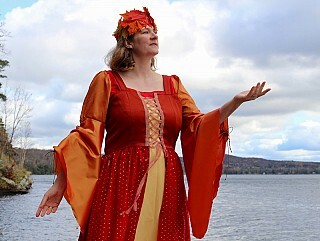 It’s just the sleeves that I used Simplicity 4940. Most of the material I found at Value Village. 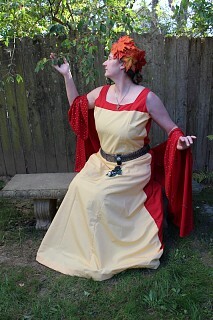 It called to me to make something. 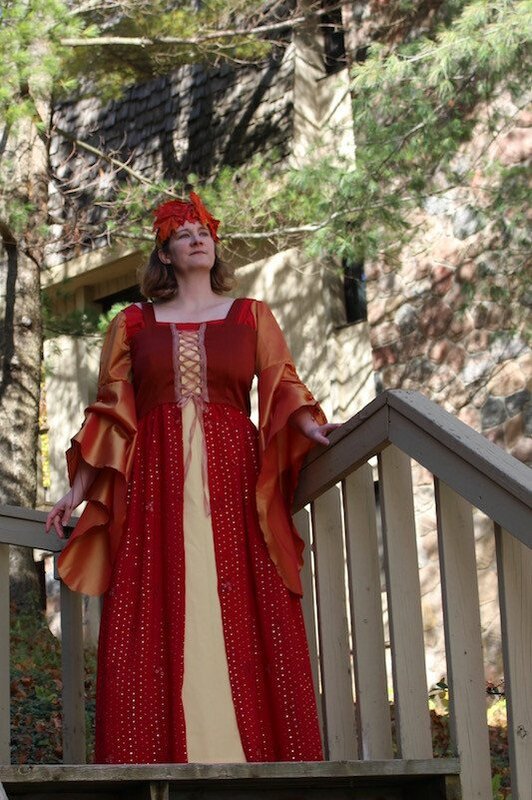 I’ve wanted to made a medieval dress for a while now. 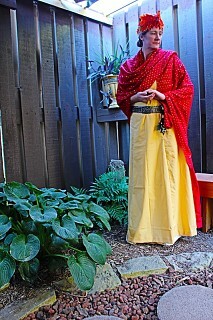 The yellow and red of the underdress came from my mom’s basement. The trim and leaves of the crown I bought at the dollar store. 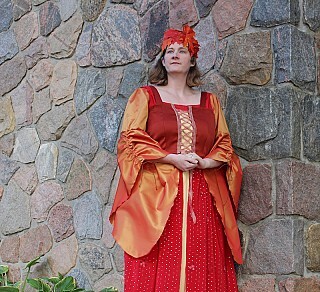 I first wore the underdress and the red material as a shawl to the Ohio Renaissance Faire, then finished the overdress and sleeves.